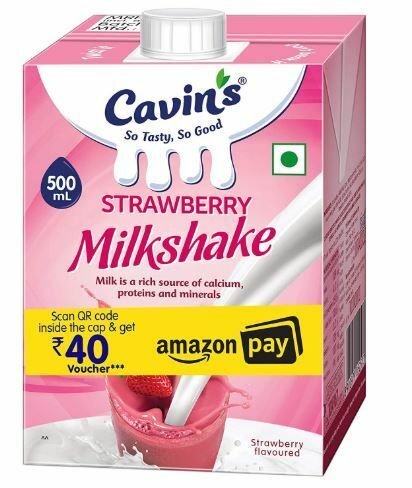 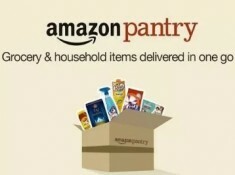 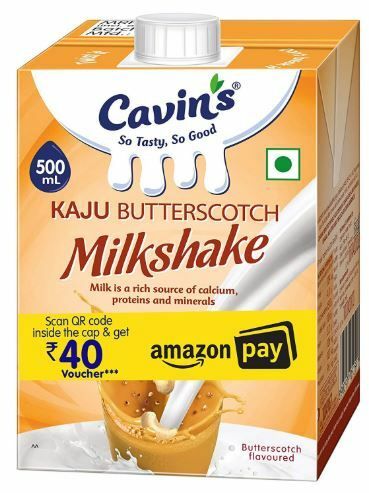 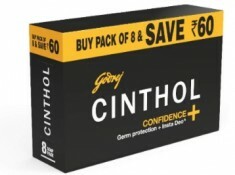 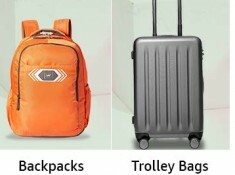 Amazon is running an Exclusive offer on Pantry item where you can Buy Cavin's Milkshake, Vanilla, 500ml at just Rs.10 after Amazon Voucher of Rs.40. 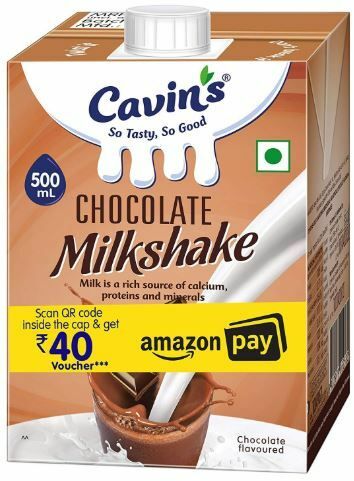 Buy Cavin's Milkshake, Vanilla, 500ml and scan QR code inside the cap and get Rs.40 amazon Pay Balance. 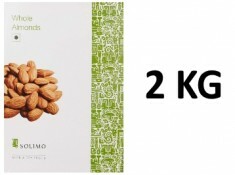 Buy max up to 8 quantity add all flavor from Below for More Benefits.